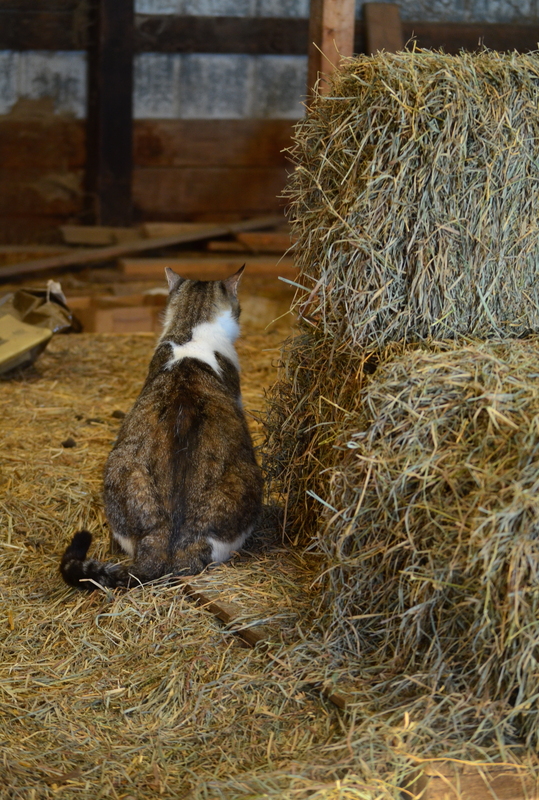 Neighbor came to the farm, well, from the neighbor’s house and he never left. He is the biggest cat in the colony. By his size you would never believe… he is just a big scaredy-cat.